The C-2 duo of Ben Russell, of Dartmouth, N.S. and Gabriel Beauchesne-Sevigny, from Trois-Rivieres, Que. raced to a silver medal at the Copenhagen World Cup in the third and final canoe-kayak sprint World Cup of the season Saturday in Denmark. The pair were just 0.292 seconds behind a crew from Uzbekistan, made up of world champion Vadim Menkov and Bubba Mibekov in 1000 metre event. 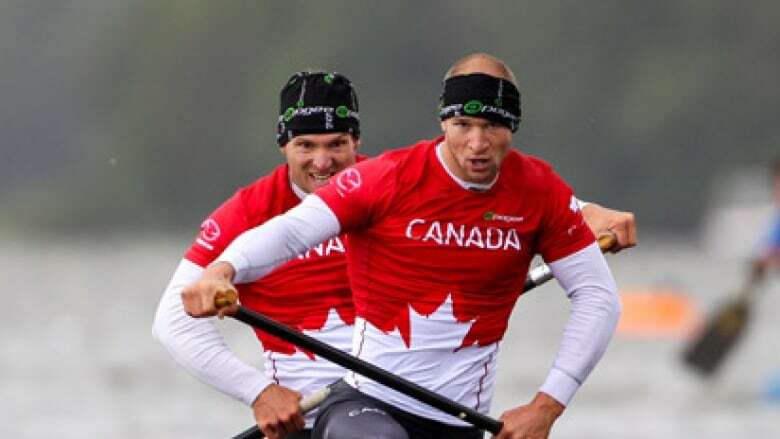 Last week in Duisberg, Russell and Beauchesne-Sevigny finished fourth, but they furiously battled against the Uzbekistan boat and against the German duo of Kretsmer and Mullen to claim second place. It was the best finish of the 11 Canadian entries in the finals. Two Canadian boats wound up fourth, Paul Bryan of Richmond Hill, Ont. and Craig Spence of Dartmouth, N.S. were one spot away from a podium finish in the same race. The Canadian women's K-4 was also fourth in the 200 metre race. The crew was made up of Genevieve Beauchesne-Sevigny, Emilie Fournel, Kathleen Fraser and Hannah Vaughan. A pair of Olympic medalists Mark Oldershaw and Adam van Koeverden wound up sixth and seventh, respectively, in the C-1 1,000 and K-1, 1000.